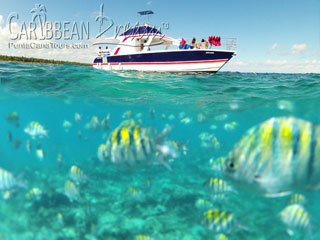 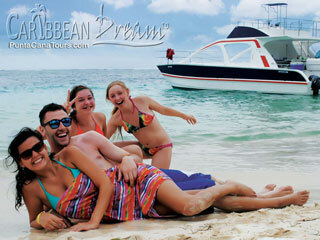 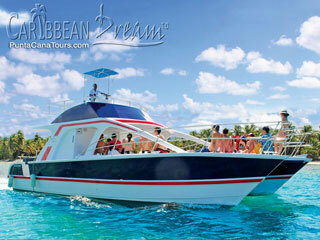 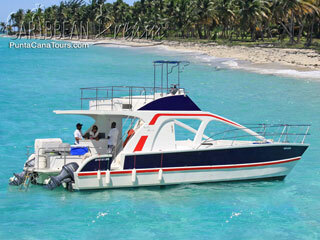 Our Saint Mary Catamaran is great for groups of 20 to 50 persons. 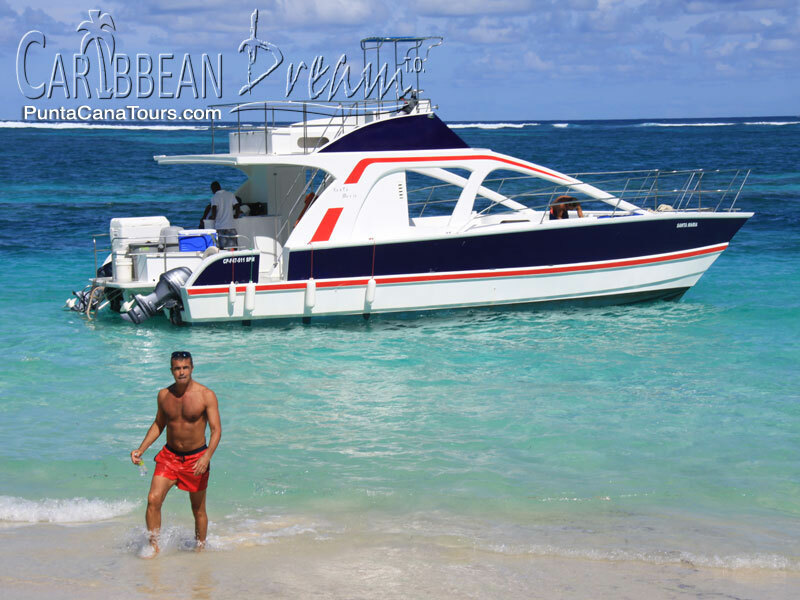 This is an incredibly spacious 41 foot catamaran with 2 bathrooms, an upper deck, grill and a high quality sound system. Our first stop is for an hour of snorkeling at a nearby offshore reef to swim with a wide array of tropical fish in their natural habitat. The charter's second stop is the pristine Playa Los Cocos where you'll enjoy a refreshing coconut cocktail right from the coconut! 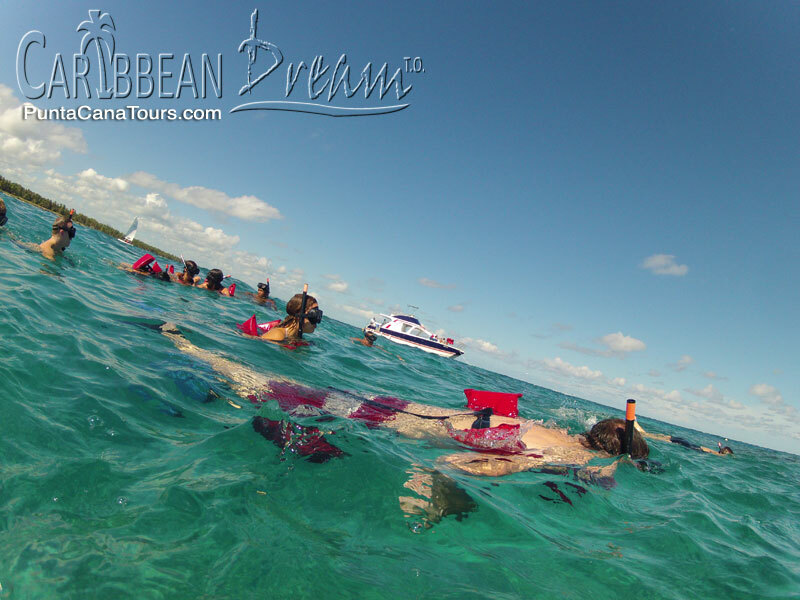 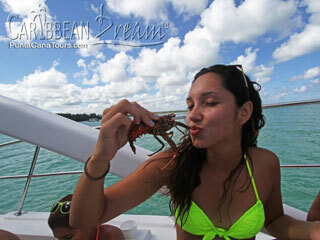 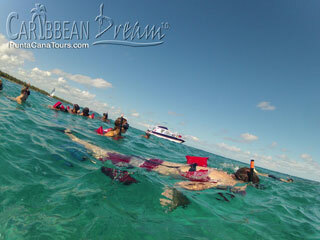 From the beach we cruise to a natural swimming pool well off the Punta Cana coastline. We'll serve you drinks, fish, conch, and grilled langostinos (similar to lobster but smaller) in these waist-deep, transparent waters with palm trees in the background and the music of your choice in the air. 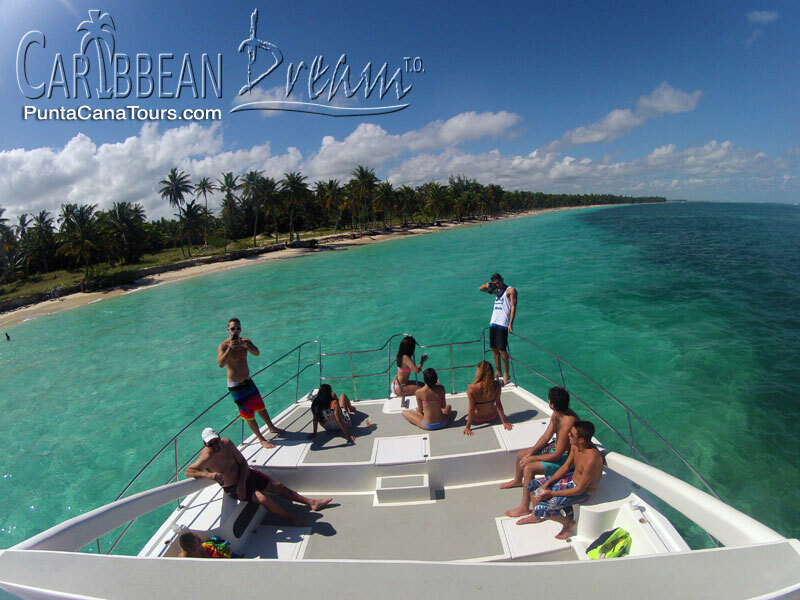 The bar is open all day long with snacks and music to make for an unforgettable group charter on the Dominican Republic's Caribbean Sea.